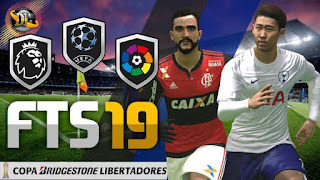 The First Touch Soccer Game 2019 is an update to the 2018 version, and this post contains the features, the download links to the .APK and obb files. Unlike its PES counterpart, First touch soccer game always come in small file size which makes it possible for many Android users and soccer game enthusiasts to enjoy the game. The FTS 2019 has been updated to reflect the new football club of Many players like Christiano Ronaldo (New Club: Juventus), Thibaut Courtois (New Club: Real Madrid). The Game size is 102MB OBB File and 87MB for game data. 1. Install the First touch soccer APK, and hold on.. don't launch yet. 2. Use the default File Manager on your phone to copy the downloaded OBB file to the path, Android > Data. 3. You can now launch the game from the app menu on your Android phone. Hope this post has been helpful. Kindly give us your feedback via comments.